Are you Eligible for Teeth Implants? Find out here! Teeth implants may be the most viable option for patients, but unfortunately it’s not meant for everyone. 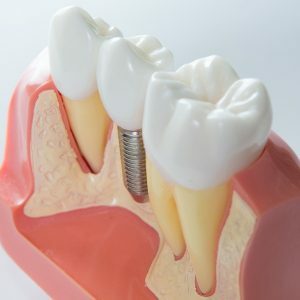 You might be reading this with an intention to know if you can have teeth implants, so we have piled up useful information that explains how your eligibility for dental implants is determined. 1. Having a favourable dental health is the prime factor that specifies if you qualify for teeth implants. This means that the patient must have a good array of healthy gums and have adequate bone density. The patient must be committed to maintaining implants in the intended manner through proper brushing and flossing techniques, and by making regular dental check-ups. 2. Before offering you implants, your overall state of health will be examined by the dentists. This is because; any illness present can slow down the healing process. For instance, diabetic patients may be turned down for implants when they are presently under treatment. 3. Certain patients often think that age is a factor to qualify for dental implants. But, the answer is no. Someone who is healthy enough to have dental implants are definitely good candidates for the same, irrespective of their age. 4. As mentioned earlier, bone density is an important aspect considered. A patient must have good jawbone density strong enough to hold the implant. This enables such implants to withstand the force produced by chewing. Having health instabilities isn’t the end of the road for everyone. Physicians and dentists can suggest you ways to qualify for teeth implants, hence pay them a visit before you go for the procedure.